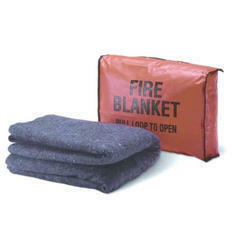 Prominent & Leading Manufacturer from Mumbai, we offer fire blanket. We provide heat resistant fabrics and high-temperature fire blankets for all severe heat environments. Mainly used in welding industries where there are acute chances of a fire hazard.